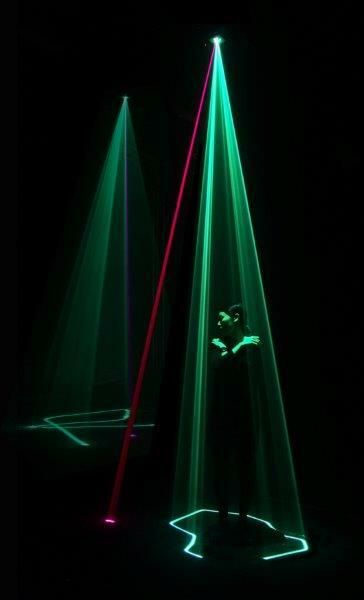 Usman Haque, Assemblance, a 3D interactive light field, 2014. Currently on view at the Barbican. Image courtesy of Umbrellium, reproduced with permission. An ambitious exhibition of digital art and design opens this month at the Barbican Centre – Digital Revolution, featuring several works specially commissioned for the show – including our featured BCS image this month by Usman Haque, and much else besides to surprise and delight followers of the digital medium. Read all about it here. This entry was posted in computer art, Image of the Month and tagged Assemblance, Digital Revolution, Usman Haque. Bookmark the permalink.